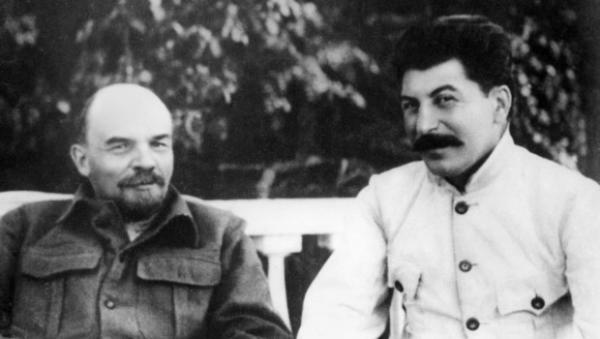 Chris Wright discusses the roots of Leninism in Social Democracy and attempts to deal with some of the more simplistic criticisms levelled against it. If Lenin, in his most 'libertarian' work, in fact defends a kind of 'state' capitalism, what do we make of Bolshevism? Many in the anarchist and libertarian Marxist circles refer to Leninism as 'red fascism', but it seems to me that this is very wrong in important ways. Not because Leninism did not kill the Russian Revolution; not because Trotsky was not an authoritarian, but because Leninism has played a distinctly different role in relation to capitalism than fascism has. We need to think clearly about what fascism was. I think that this quote from Werner Bonefeld's review of Johannes Agnoli's "Fascism Without Revision" sets out some interesting points succinctly: "In conclusion, Agnoli sees Fascism as a counter-revolutionary force that seeks to disempower the 'dependent' (proletarian) masses and to repel their emancipatory aspirations through a preemptive politics of terrorist 'pacification' and, once so domesticated, through a politics of depolitisation effected through the institutionalization and legalization of the 'labour question'. Fascism, he argues (p. 111), attacked not only the revolutionary working class. Such an attack belongs to the 'normality' of the politics of the bourgeois state. Fascism also attacked the reformist working class movement and focused the integration of the working class into the bourgeois 'system' on issues such as Volk where the mutual 'friends' gain a material existence not only through state organized 'pleasure trips' but also, and most importantly, through the deadly persecution of the 'foe'. Italian Fascism, in contrast to the German volkisch conception of the 'national', focused on the incorporation of 'class', seeking to subsume the potentially subversive under the obligation of responsibility. Of course, only the fascist trade unions were invited - and were the only ones left to be invited - to participate in tripartite discussions. As Agnoli shows, the efforts by employers to reassert their right to manage was in no way diminished, rather it was strengthened, through the politics of incorporation. Within the corporatist framework, the employers were endorsed as the producers and labour's role was that of a dependent who knows its 'natural' position that is visited upon those without property since Roman-times: the natural position of the worker in Italian corporatism was that of the plebes. Agnoli sums this up with the metaphor of the one national boat: the majority rowing the minority navigating. In sum, historical Fascism is understood as an attempt at managing the reproduction of bourgeois society." If fascism is a terrorist attack on the working class, Leninism hardly played such a role in Russia prior to assuming state power. Leninism in fact pursued the organization of the working class for the overthrow of capital and the establishment of communism, an idea which no fascists hold to, even the Left Fascists discussed by Agnoli. Now, Leninism may formulate the politics of liberation in all kinds of authoritarian ways, but it does so from within the historical workers' movement, not outside it. Leninism in power did become the vanguard of developing capitalism ('state' capitalism) in Russia. And Leninism in power did certainly lead to an absolutely murderous regime which used all kinds of terror against the working class. But, unlike fascism, this beast grew out of the workers' movement itself, out of its own contradictions and limitations. If anything, Leninism may best be understood as what it was always accused of being: Jacobinism. But I mean it in the literal sense, that Leninism became the vanguard of capitalist development, but originally as the expression of the radical desires of the masses. This combination of workers' struggles and capitalist development should be nothing new on this list. That Bolshevism should become Jacobinism is no surprise; Leninism was the marriage of Marx, the workers' movement and bourgeois revolutionary ideology, especially in its conceptions of science, organization and communism, which came from Engels, Lassalle, Blanqui and Bakunin. That 20th Century Jacobinism turned into Thermidor is no surprise. This is a part of Trotsky which is actually quite astute, except that Leninism was always a theory of the bourgeois revolution (one need simply consider the actual content of Lenin's formula: 'democratic dictatorship of the workers and peasants'), but from within the workers' movement in a less developed country. Another way to say this is that Leninism was Social Democratic reformism in a situation which made bourgeois democratic demands revolutionary. In the face of an actual working class and a world of capital and workers' revolts, Jacobinism and Thermidor, which had already ushered in terror extensively in the French Revolution, recur on a hitherto unknown scale. But is this fascism? Were the Jacobins fascists because they used terror to establish capitalism? What is left of the meaning of the term fascism at this point? Certainly, for those for whom communism has always been possible from any society, Jacobinism and fascism may be the same thing, but I reject that completely. This would be a dividing line between certain kinds of utopians and Marx. On another note, let's consider for a moment what the Russian Revolution was a part of. Bolshevism struggled with its own contradictions, but until Lenin's death the eye was always on the spread of the revolution. That Leninism employed means which were anathema to revolution is only to say that Leninism was as limited as Jacobinism in France, which also spread revolution, and which also had to give way to Thermidor because of its distrust of the masses. I don't want to reduce Bolshevism to "distrust of the working class at the same moment as reliance upon it", but it is not exactly inaccurate either, is it? After all, the Bolshevik revolutionaries did not brave prisons and exile and poverty and death for the sake of order, but for the overthrow of Czarism and capitalism. Leninism lived a contradiction which the recurrence to "Leninism = red fascism" simply cannot account for, and dangerously so. It confuses the Jacobins with Thermidor and Bonapartism. Fascism, in its turn, did not inspire revolutionary upheavals anywhere else, nor did masses of radical workers say "I wanna be a fascist!" No, they flocked to what they thought was the party of the international revolution, and boy were they wrong, but not because they were secretly fascists. They flocked to what, in the developed capitalist countries, amounted to a very militant reformism which could contribute to the instability of capitalism, but which did not have a politics that would do anything but leave the working class vulnerable to fascism, Keynesianism and war. I am loathe to call Maoism or the other nationalisms using Lenin's name "Leninisms" only because they were all based, unlike Bolshevism, in the countryside and used means and methods very much unlike Leninism, which was an integral part of the European workers' movement. Maoism, Castroism, Guevarism, etc. all reflected a very different social base, what one could refer to as a peasantry proper, a peasantry not yet subordinated to the capital-labor relation, and therefore non-working class forces. They all engaged in the raising of armies and the conquest of the cities, with the immediate smashing of all labor insurgency. And yet, how much Leninism differed in power is questionable. That capitalist development in the 20th century tended towards the massification of the state, i.e. the state taking on the role of banker, employer, social worker, in the face of mass working class power (something which fascism helped to put into place), and the state as 'development capitalist' is certainly obvious. That "state" capitalism represented the predominant trend in the face of labor's struggle against capital is also obvious. What is less clear, it seems, is that Leninism was not fascism. Leninism, in one way, is the failure of the working class to overthrow capitalism, a failure which still helped expose the real content of 'scientific' Marxism, hence the critiques by the council communists and Hegelian Marxists, but which also expressed the workers' movement folding in upon its own contradictions. Fascism was nothing of the sort. Fascism was a club, a weapon. Fascism overthrew NOTHING. This is why I would insist that anyone who thinks of fascism as a mass workers' movement understands nothing. As for today, Leninism maintains these contradictions. I do not oppose Leninism as a kind of 'red fascism', but as a kind of militant reformism, as a reformism that has produced people whose profession is total social control (a la Debord.) As such, they are agents of capital to the same degree as trade union bureaucrats and other enemy elements within the working class, with this difference: the unions have become institutionalized as organs of management, while Leninism, at least in the U.S., has not attained this status. The situation is somewhat different in countries like France and Italy, where the Communist Parties are major institutional parties and even the 'revolutionary' (read: sectarian) Leninists are much larger and more influential. Does that mean that they could become the vanguard of fascism? I doubt it, actually. I think that Leninism as revolutionary opposition is in fact all but dead and has been for some years, maybe decades. Leninism can serve to disorient people looking for revolutionary ideas, can mislead struggles, and can act, in other words, like class struggle reformists, but Leninism will not be able, in the developed countries, to lead the state except as a kind of recuperative and parliamentary reformism. Bolshevism's social base (as statist vanguard of the transformation from formal to real subsumption) has weakened and diminished, and aspects of Bolshevism have been subsumed within capital (and in that sense continue.) The return to fascism, as the use of terrorism to save capital, is in fact far more likely and far different.